Come along to see what it’s about at 20:00 on Monday 24 September. Open for young persons aged 12 (if in year eight at school) to age 16 to apply. 381 (Reading) Squadron Air Cadets challenges young people in Reading, up for fun, adventure, incredible experiences and making new friends to come along to its recruitment evening on Wednesday 20 September at Brock Barracks, Reading, and find out how joining the Air Cadets could change your life. Looking for something to give you the edge in life? As a cadet you’ll have the opportunity to do things that others only dream about. Want real flight experience ? No problem. How about heading out on adventurous training and camps, occasionally overseas? Competitive sports, drill, shooting, music, adventure training, The Duke of Edinburgh Award scheme & various projects, Our list of activities is long, varied and open to all cadets. Yes it’s a challenge, but that’s what life’s all about. 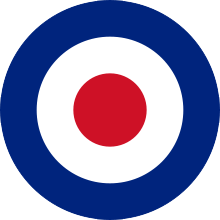 The Squadron meets on Mondays and Wednesdays 19:30 – 21:30 at Brock Barracks, Oxford Road. There are also many weekend activities happening throughout the year and the more you put into the Air Cadets the more you will receive in return. 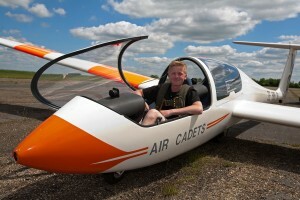 Flight Lieutenant Tom Churnside RAFVR(T), Officer Commanding 381 Reading Squadron comments “Air Cadets offers young people from all walks of life a chance to be active, learn new skills and make new friends. The Air Cadets doesn’t interfere with their school responsibilities and cadets take an invaluable set of experiences and strong personal ethics with them when they leave, giving them the tools to succeed in whatever they choose to do in the future.